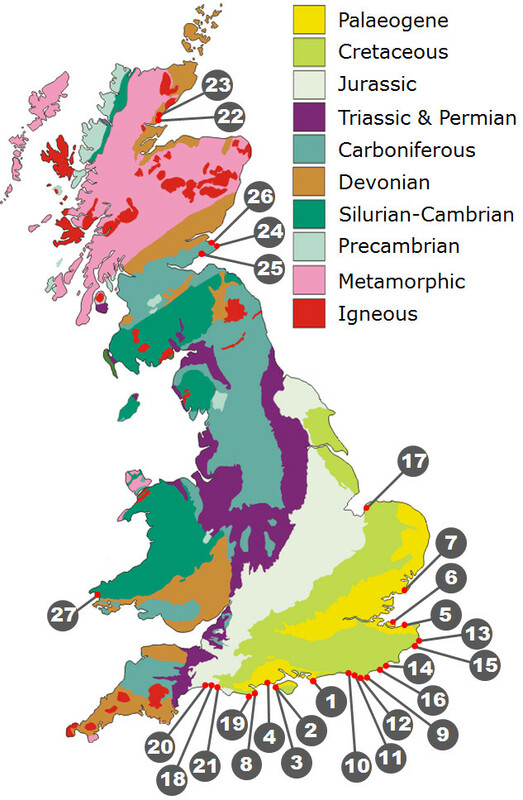 The following page features a selection of classic fossil hunting locations from around Great Britain. The locations are grouped by the locally dominant surface geology and then by region/county. Each location includes a reference number which relates to the adjoining geology map. Depending on the device you’re using the geology map may appear on the left or below the list of locations.